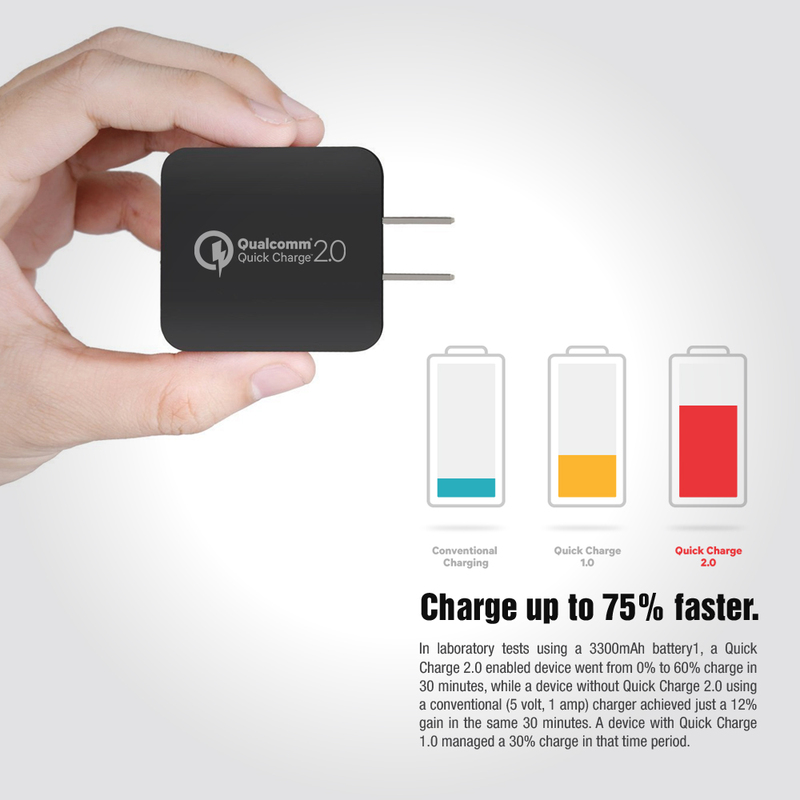 AccessoryGeeks.com | Redshield Qualcomm Quick Charge 2.0 Micro USB Wall Charger | FREE SHIPPING! 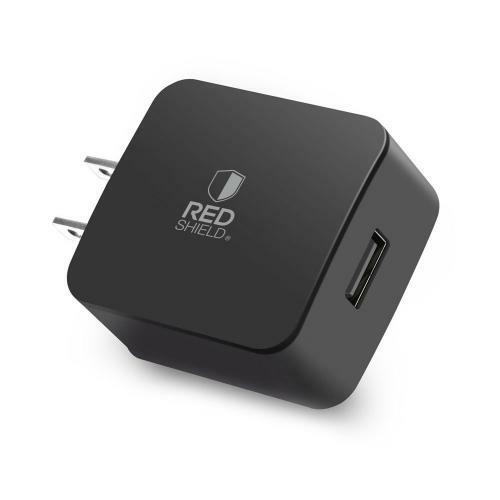 Redshield [Qualcomm Quick Charge 2.0] Micro USB Wall Charger The Redshield charges all Qualcomm Quick Charge 2.0 enabled devices 75% faster versus conventional USB charging. 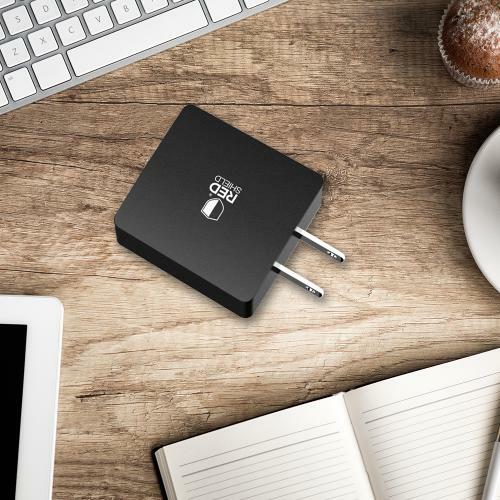 This single output USB charger will recharge your device up quickly; on average take your battery from 0% to 25 % in 12 minutes, and fully charge it in a little over an hour and a half depending on your device. 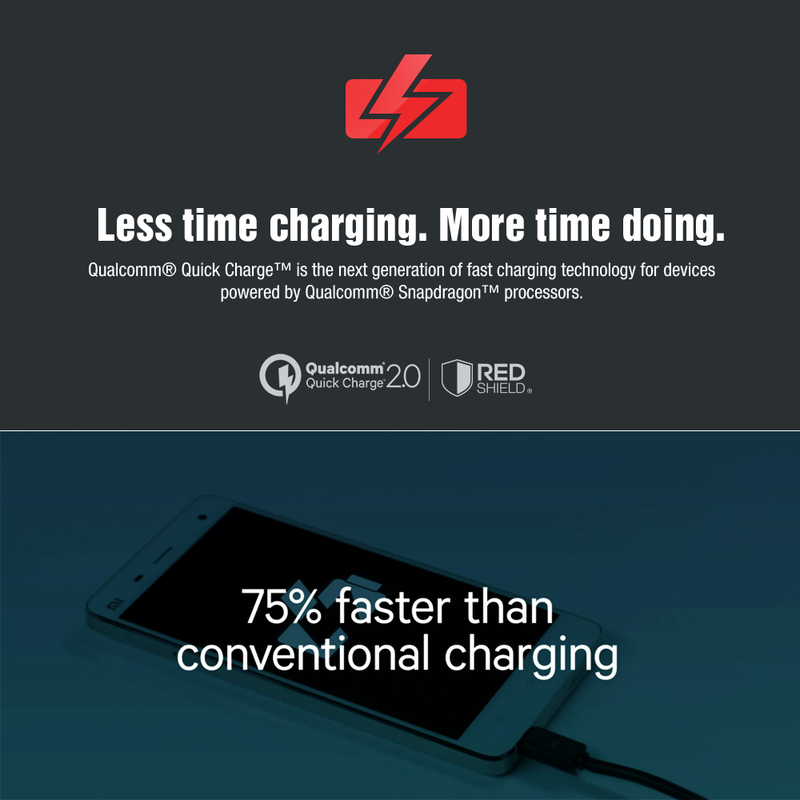 The Redshield charges all Qualcomm Quick Charge 2.0 enabled devices 75% faster versus conventional USB charging. 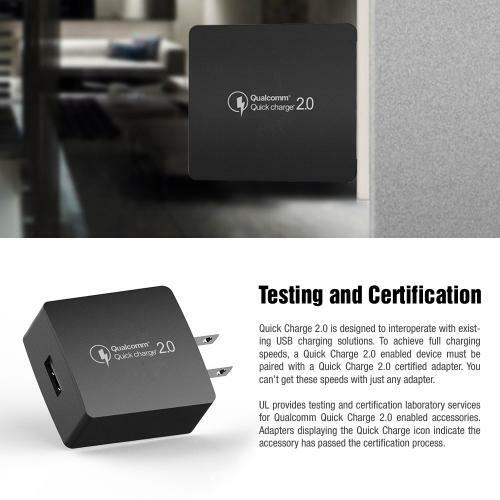 This single output USB charger will recharge your device up quickly; on average take your battery from 0% to 25 % in 12 minutes, and fully charge it in a little over an hour and a half depending on your device. Kept one for myself and gave two for gifts and so far they are all working very well. They are smaller than some plugs which is very nice, especially for travelling. Great price! Extremely convenient and just as described. 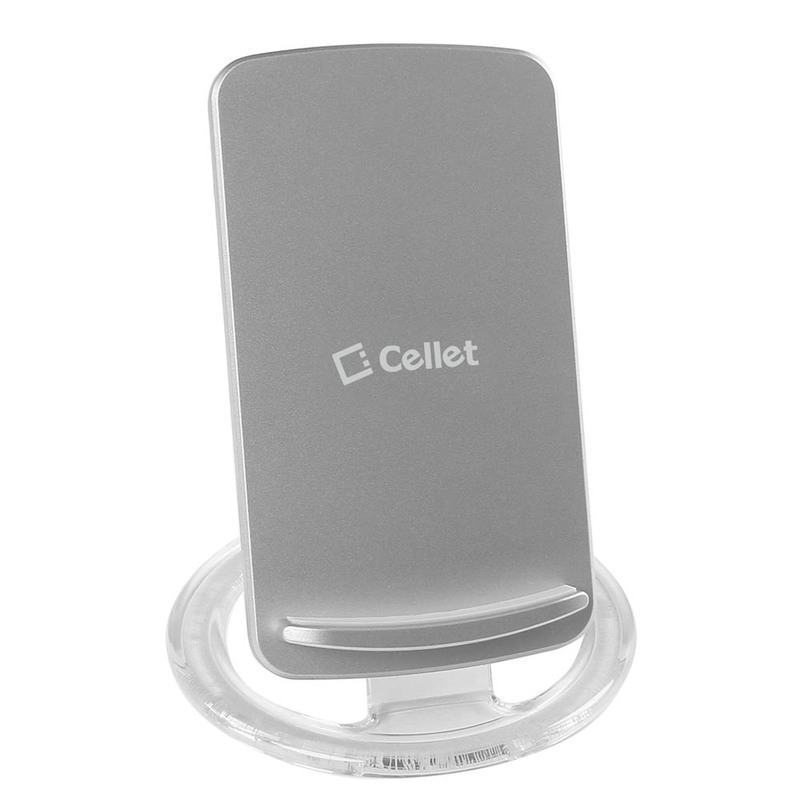 It charge as quickly, durable, and great charger for the price. I use one at the office and one at home. Sleek and well-constructed wall charger! 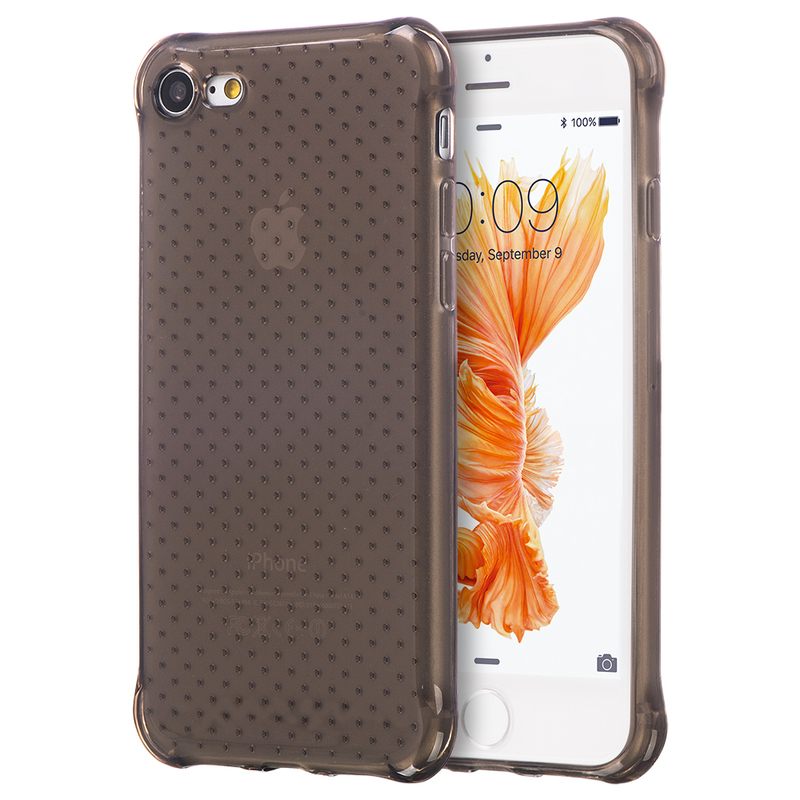 It charges fast, durable and feels very sturdy. I am looking forward to buying more of these soon. Thanks! Definitely the best USB wall charger I've ever purchased. Charges really fast and works perfectly! I would recommend this to anyone looking for a charger. 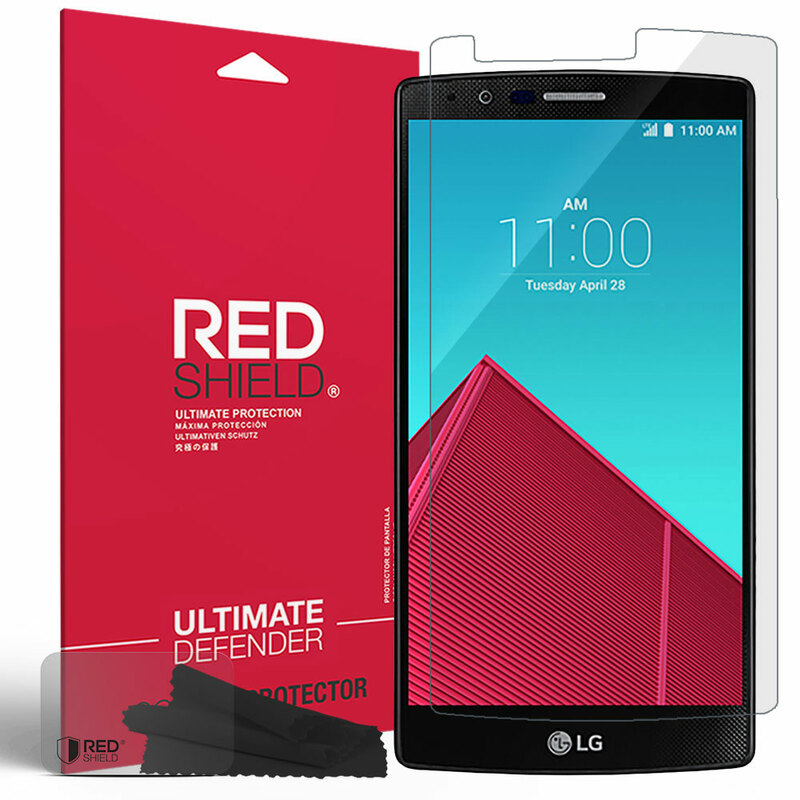 Works beautifully and it is Qualcomm Certified. This is high quality and provides one USB port, but it only takes up one outlet and charges that one device crazy fast! Awesome! Fantastic USB wall charger! I can charge my phone, iPad, and my camera batteries with a single wall charger. Perfect for travel! Very fast charger! 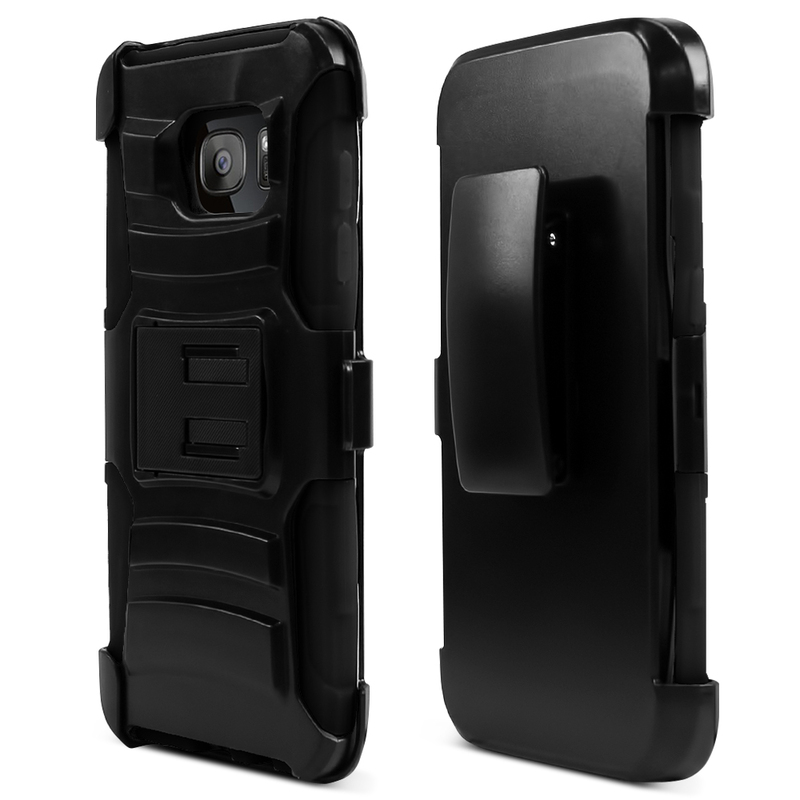 The build quality of this has been very high, compatible, and very useful. I may buy another one to keep in my office for quick charges. 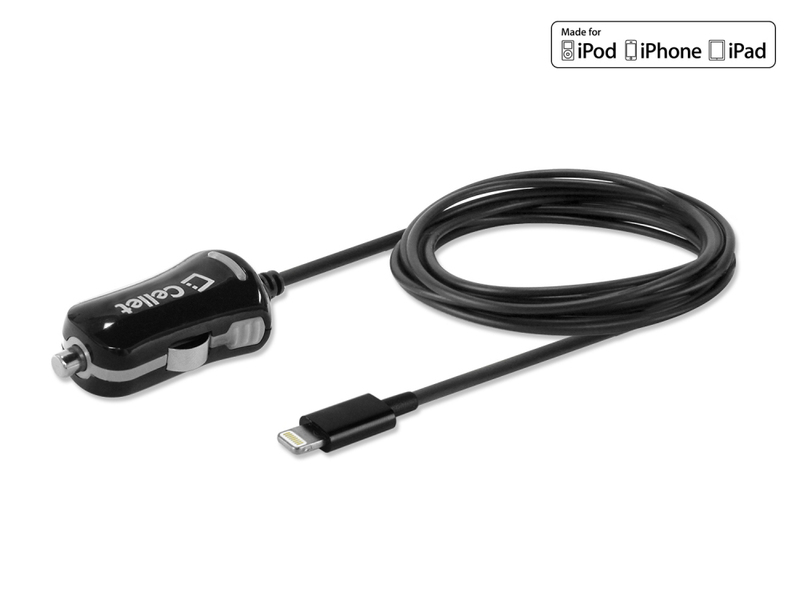 I used it everyday for my phone and iPad, this charger works very well and very durable. So far so good and reliably quick charges. Great price too! Most excellent charger! 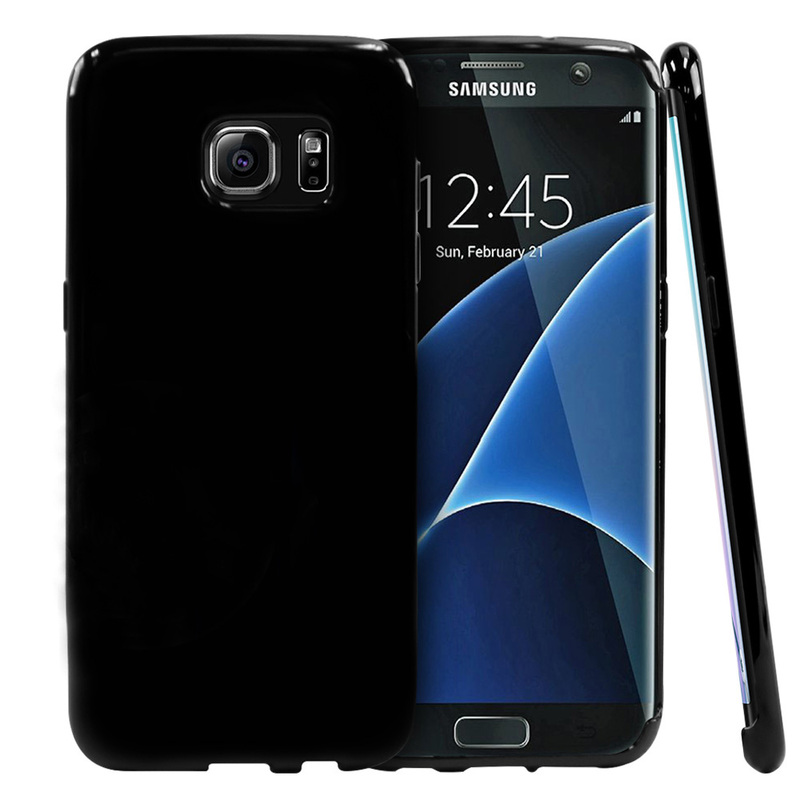 It supports quick charge of all different devices. 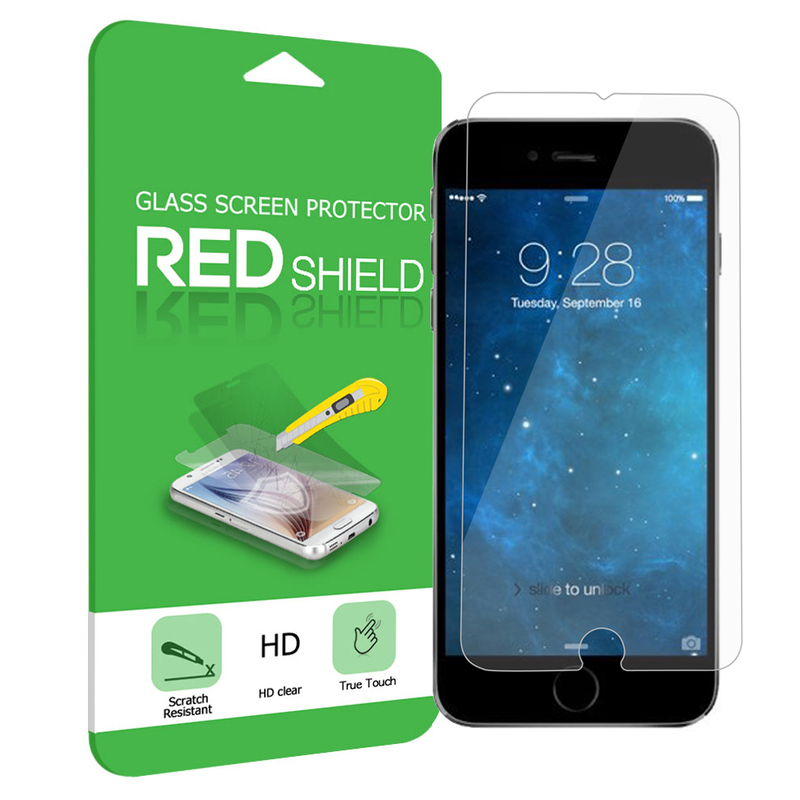 Very useful, good quality and highly recommended. 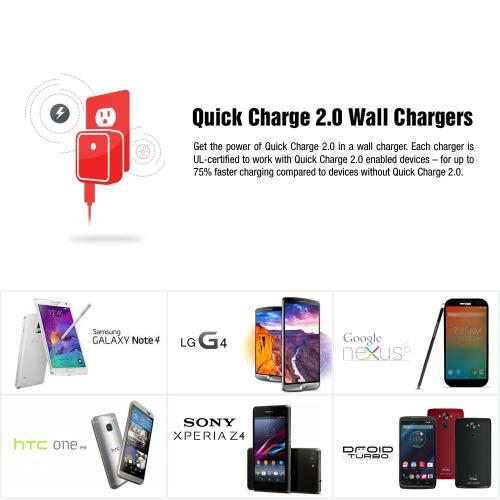 This Redshield wall charger charges fast! What normally takes hours took less than an hour, 45 minutes tops! Worth buying! I wasn't sure if I would get the "device not supported" message when I plugged this charger into my iPhone 6. It charges, but hard to tell if it's faster charging. Works great for a good price! I purchased this charger because my new HTC M9 gave me warnings about a slow charge. I use an extra charger @ work which isnt brand name. Using the Qualcom plug, the phone chargers very quickly & no warnings. I highly recommend this product!